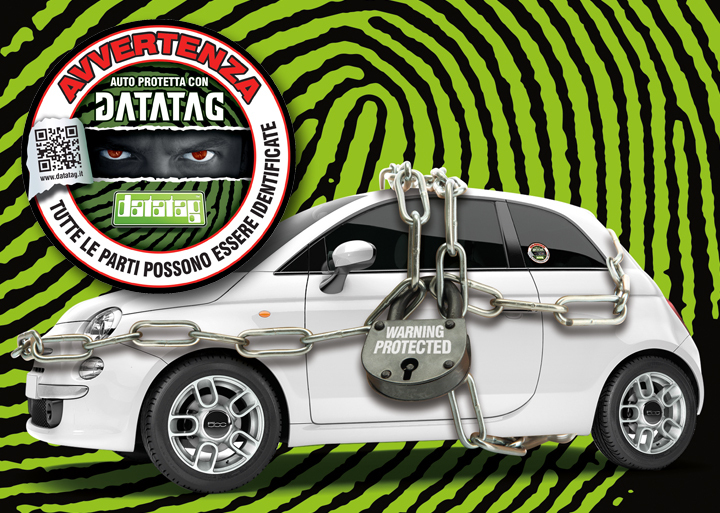 Hertz has enlisted the help of security marking specialists and market leaders Datatag in a pilot project to add additional layers of protection to their Hertz Italy vehicle fleet in a move to prevent theft. Vehicle theft can cause considerable distress for holidaymakers and inconvenience for business users alike and Hertz is determined to reduce the opportunity for thieves to target its vehicles by incorporating the unique system properties developed by Datatag to securely mark the most popular vehicle components. Datatag has a long history of successfully protecting vehicles and machinery and is already entrusted with the security of both agricultural plant and machinery and motorcycles in the UK under the CESAR and MASTER schemes, and are synonymous with the highest level of theft deterrent and recovery. In fact Caterpillar's main distributor in Italy has also adopted Datatag's technology under the CESAR program. It is for this reason that Hertz approached Datatag to launch a pilot scheme whereby a number of their fleet vehicles have been fitted with Datatag’s multi layered system. 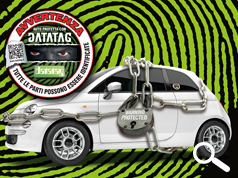 The Datatag system uses a number of technologies to ensure that the identity of each part of a car can be traced back to its original owner leaving thieves little choice but to avoid cars fitted with Datatag. Warning labels - clearly identify that the vehicle is protected thus acting as a high level visual deterrent. Glass RFiD transponders - hidden covertly in the vehicle these ensure removal is almost impossible. UV ‘Stealth’ ID Stencils - ensure all easily removable parts such as bumpers, doors, body panels etc. can be easily identified even after removal. Datadots® with Datatag Forensic DNA - used to mark smaller items like brake calipers, engine parts, wheels etc. resulting in a 360 degree level of protection. With so many layers it is almost impossible for thieves to remove all trace of the Datatag system which means even when stripped down into component parts rightful ownership can be established beyond doubt. Datatag and the CPS in the UK have a 100% successful prosecution rate when Datatag technologies have been used as evidence in court. Datatag are working with local police and Interpol to ensure all necessary training is in place and that law enforcement agencies are fully aware of what to look out for when carrying out checks. Datatag technicians have trainedindependent staff ensuring a consistent and professional level of application of the systems providing maximum protection for each individual vehicle. “Vehicle theft is a growing concern and hugely affects private, business and corporate fleet owners and renters worldwide. We recognise the inconvenience it can cause to our customers and have enlisted the services of Datatag to reduce the attraction of our vehicles to criminals. Datatag’s unique approach will ensure we equip each vehicle with the maximum deterrent available providing numerous opportunities to identify our property and evidentially link those in possession of our goods should a theft occur. Following a successful trial period it is hoped that the Datatag system will be incorporated further within the Hertz Italy fleet.